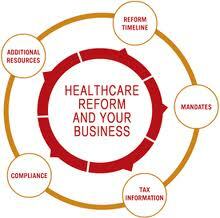 UPDATE: ObamaCare’s Healthcare Exchange for small business begins January 1, 2015. We have found out some important facts for small business. Click here to Compare Bronze, Silver, Gold, and Platinum Individual Plans. All states and providers will offer different plans with the same essential benefits, but may extend or add additional benefits. What is considered a small business that must provide coverage under the Health Exchange? 50-100 full-time employees. Remember that 2 part-time employees equal one full-time employee. What is the penalty for not providing insurance through the Exchange? If you do not provide insurance you will pay $2,000 for each employee MINUS the first 30 FT employees. So it’s a little math, let us break that down. If you have 75 employees you would pay 75-30=45, 45 x 2,000= $90,000. No employer may offer premiums that cost the employee more than 9.5% of their household income. The penalty for this is $3,000 per employee if they received a federal subsidy. Click here to learn about Healthcare Exchange Premium Subsidies. What are the new waiting periods with the Healthcare Exchange? They are a maximum of 90 calendar days for full-time employees. Employers must cover employees as of the 91st day or earlier, regardless of holidays or weekends. This does not include seasonal workers, or workers that work part-time for part of the year, and full-time for part of the year. For assistance in your state with small business Healthcare Exchange questions please call 800-930-7956 or contact Medicoverage.